Hong Lai Huat Group is a play on growth in Indochina. Net profit for 2018 rose 287% y-o-y on the back of strong property sales from D’Seaview, the group’s first Cambodian freehold development project. Its second development project in downtown Phnom Penh is in the pipeline with target launch date in 2Q19. The stock trades at historical 2018 P/B of only 0.4x and provides dividend yield of 2.0%. Positive sales response for D’Seaview. Hong Lai Huat Group (SGX:CTO)'s revenue rose 176% y-o-y to S$34.8m in 2018 due to the strong property sales of D’Seaview. D’Seaview’s ideal location in Sihanoukville, Cambodia’s premier seaside resort and popular tourist destination, as well as the burgeoning middle class in Cambodia helped the project achieve healthy take-up. According to management, 75% of the residential and commercial units have been sold. The project consists of residential and commercial units. Construction of the commercial segment is in the final stages and should be handed over to customers in Apr 19. Hong Lai Huat Group expects positive sales response for the balance residential units in D’Seaview and expects to complete the residential towers by end-19. JV with Royal Group to launch new project in downtown Phnom Penh. In response to the success of D’Seaview, Hong Lai Huat Group has decided to collaborate with the Royal Group, Cambodia’s leading investment and development company, to launch a mixed-use development Royal Platinum at Toul Kuok District in Phnom Penh, a high-end residential and commercial neighbourhood. It is located just 20mins from the Phnom Penh International Airport. Gross development value of the project with 800 freehold residential and commercial units is estimated at US$150m. It is slated for launch in 2Q19. Steady growth of the group’s agriculture division. Hong Lai Huat Group owns a 10,000-ha cassava plantation in Aoral District, Kampong Speu Province, Cambodia. The raw cassava that is harvested can either be sold unprocessed or taken to its starch factory to be processed into food grade tapioca starch. Fresh cassava is able to generate stable gross profit margin of 70% based on current market value of US$70-85/MT. 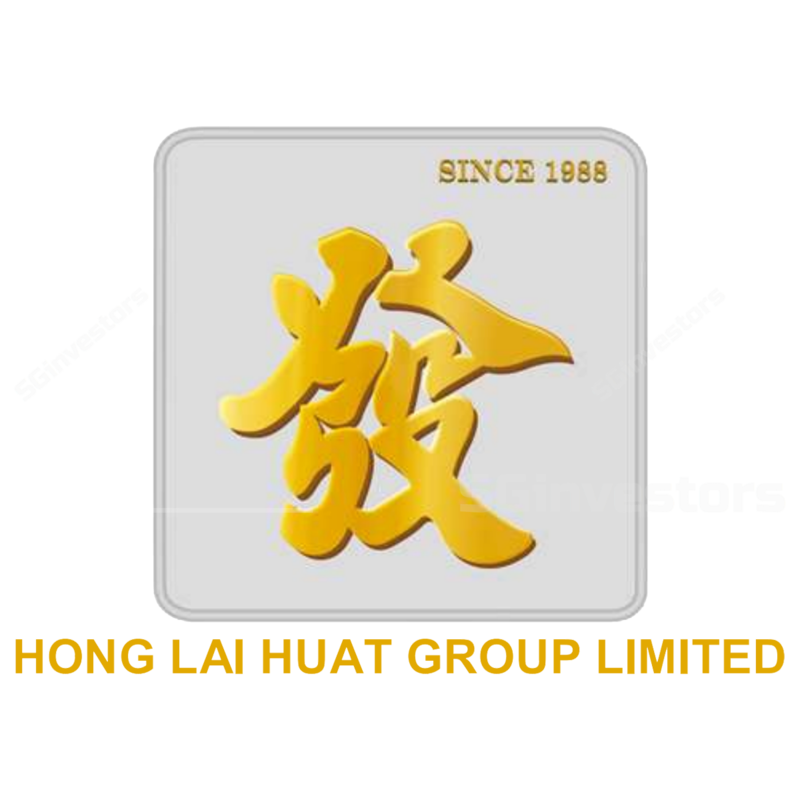 Hong Lai Huat Group is also working towards full utilisation of the starch factory, which has an annual maximum production capacity of 36,000 tonnes of tapioca starch. Hong Lai Huat Group’s debt levels have reached a 5-year historical low, with cash and cash equivalents of S$25.2m as at Dec 18. The group sold and collected the cash proceeds of an investment property of the group’s Cambodian subsidiary for US$22.06m. Gearing also remains low at 1.2%, an improvement as compared with 3.2% in Dec 17. Hong Lai Huat Group’s net cash/share is S$0.10. As a result, Hong Lai Huat Group’s NAV per share rose to S$0.62 in 2018, an improvement from S$0.58 in 2017. Hong Lai Huat Group recognised the gain in the sale of US$0.57m. Announced maiden dividend of 0.5 S cents. Hong Lai Huat Group declared a final dividend of 0.5 S cents in 2018, subject to shareholders’ approval. This represents a dividend yield of 2% for 2018. Diversified property development and agriculture group. Hong Lai Huat Group started as a construction company developing projects in Singapore and now operates primarily in Cambodia. In 2015, it expanded its property development activities to Cambodia where it developed its first freehold mixed-use development D’Seaview. Another core business is agriculture, and it currently owns one of the largest cassava plantations in Cambodia where it cultivates fresh cassava and produces tapioca starch for domestic consumption, as well as the export market. Hong Lai Huat Group’s revenue for 2018 more than doubled from the previous year (S$34.8m vs S$12.6m) which was largely attributed to increased contributions from its property arm as it currently constitutes 89% of total revenue. The property segment has overtaken the agriculture segment since 2017 in terms of revenue. Overall, gross profit has also increased from S$6.4m in 2017 to S$14.8m in 2018. Net profit after tax (NPAT) has also moved in the same direction and has increased more than threefold from S$2.05m in 2017 to S$7.94m in 2018. Notwithstanding a S$2.1m tax benefit in 2018, NPAT in 2018 has grown significantly from the previous year. We believe Hong Lai Huat Group will continue to build on the positive momentum through its residual sales of D’Seaview and upcoming soft launch of Royal Platinum. Also, the expansion of its cassava business as well as potential earnings from their Cambodian properties has led management to be optimistic of future expansion. Better-than-expected sales response for the Royal Platinum’s soft launch. Geographical diversification for property development. Higher margins in agriculture division brought about by better cassava yields.